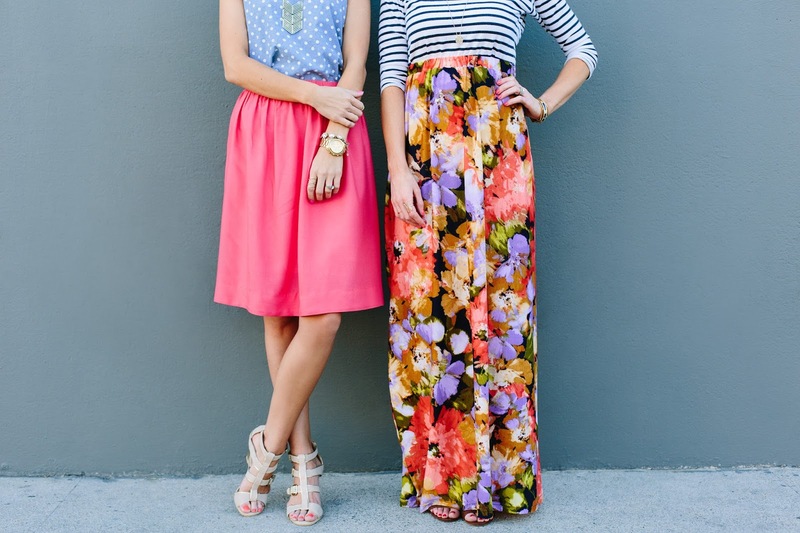 Elle Apparel: THE MODERN GIRLS GUIDE TO SEWING: EASTER SALE! 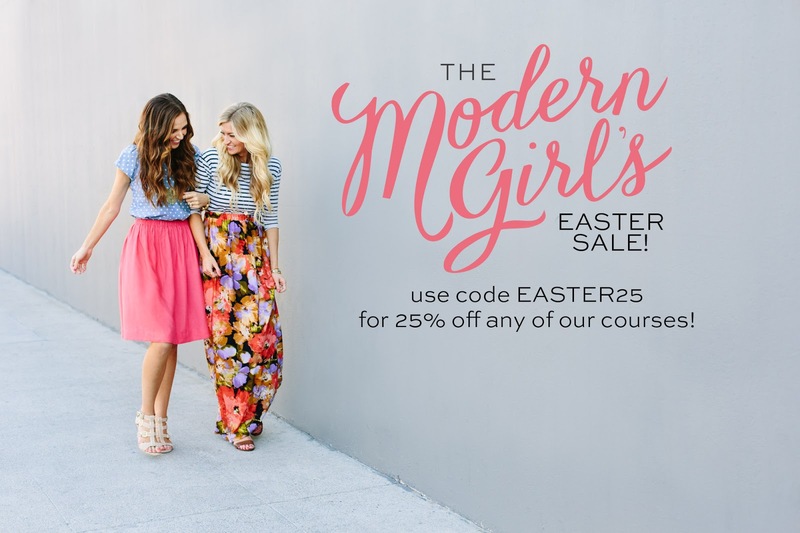 THE MODERN GIRLS GUIDE TO SEWING: EASTER SALE! Easter is only one month away (how did that happen?!) and I have been dreaming and designing the Easter dress I'm going to make this year. I love making myself a dress for Easter (see here and here) and Merrick and I want to teach you how to make one too! 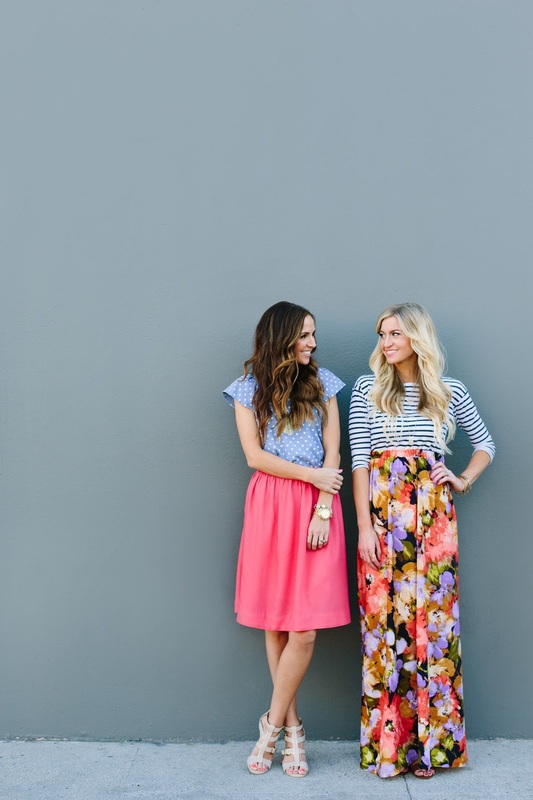 Last summer Merrick and I launched The Modern Girls Guide to Sewing, an online sewing video course that teachss you how to sew and design your own clothes! With our courses you will learn how to make a simple elastic waistband skirt in our Beginner's Course, a cute (and versatile) shift dress in our Intermediate Course, and we also walk you through how to create and design your own patterns in order to make the dress of your dreams! You can grab yours at Moderngirlsewing.com. We want you to experience how amazing it feel to create your own custom clothing, so we have marked all of our courses 25% off from TODAY through MONDAY, MARCH 7th. Our courses are fun and we make all those scary "sewing techniques" clear and simple to understand. You can watch our videos over and over as many times as you want, and they never expire! So go get yourself a course here (or buy both courses for an even better savings) and make sure to use code: EASTER25 for 25% off. That way you will have enough time to create something beautiful and custom made by YOU to wear for Easter! Take a look at what you can use The Modern Girls Guide to Sewing courses to make for Halloween or Christmas too!